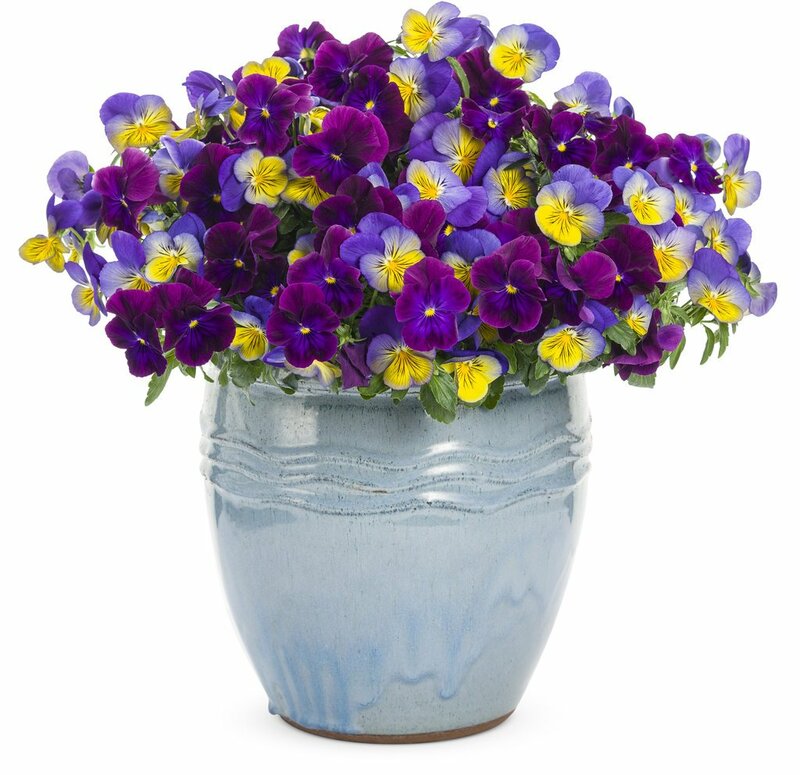 Pansies are great for cool season containers! When it comes to containers succulents are the perfect adaptable plant for indoors or out. With great variety and interesting texture it is no wonder succulents are a very popular trendy plant right now. Recently I went to the dollar store to buy some soup ladles. 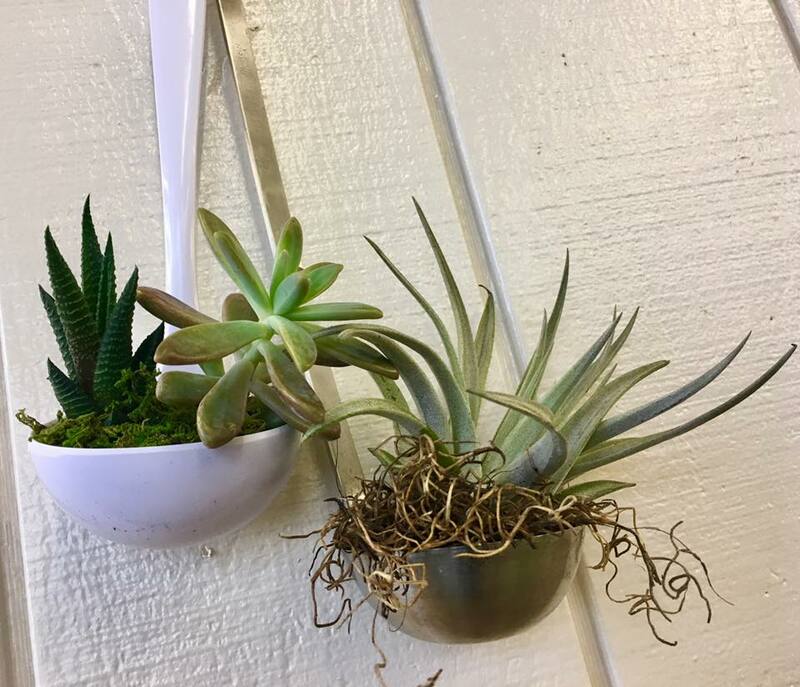 I planted Succulents and Tillandsia in the ladles and posted this picture in social media. I was amazed at the response and shares the post received! I call it the trend of “set-abouts”. Plants in a variety of containers used to brighten our corner of the world both inside and out. Recently attending a show in Florida I snapped these pictures of succulent “set-abouts” that took the idea to the extreme. It points out however that container plantings come in all forms limited only by your creativity. Another means of “set-about” is to purchase early season plants at the garden center and “baby sit” them for a few weeks indoors. This can also be done with seed starting in containers. On nice days when the air is calm they can be set out to begin “hardening off” to the great outdoors. Come May after you’ve had your early spring gardening fix, they will be ready to make it on their own outdoors. As with all container planting remember to allow for growth, use a good quality potting soil, and provide for drainage out the bottom.